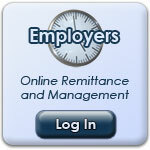 How do I apply for reimbursement under my Flex Account? Submit your Flexible Benefit Reimbursement Form with a copy of the itemized bill and state on the front page that you do not have the optional dental and/or vision benefit and require reimbursement. If filing for prescription co-pays just attached the copy of the prescription receipt which should indicate the co-payment amount you paid. Refer to pages 38 through 39 in your Summary Plan Description Booklet for additional limitations and exclusion under the Flexible Benefit Reimbursement Program. Why do I have to pay for a copy of an Explanation of Benefit form? 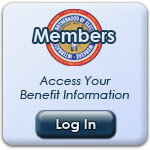 Wisconsin Electrical Employees Health & Welfare Plan (the “Fund”) mails out an explanation of benefits (EOB) to the participant every time a claim is processed under their file which should be kept for their own records. The Fund does not keep copies of the EOB, however, the Fund does have the capabilities of printing a duplicate for the participant which takes time, supplies and postage, therefore, the Board of Trustees feel that in order to offset the cost of sending out a duplicate EOB a fee will be charged. You may request duplicate EOB’s from the Fund Office at which time a bill will be sent to you. You will be charged $20 for the first form, 10 cents for each additional form plus the cost of postage. Upon receipt of your bill with the payment the Fund will send out the requested duplicate EOB’s. The Plan will pay at 100% per eligible individual per calendar year for routine physical examinations. This benefit includes physician's charges for complete history and physical examinations, well-child expenses for a dependent child including charges for routine immunizations, and x-ray and laboratory charges, such as electrocardiogram, blood count, chest x-ray, pap smear and routine mammogram. This benefit is not subject to the deductible or co-pay percentage of the Plan. Note: Services provided by a NON-PPO Provider are limited to $450 paid at 100%, 10% paid thereafter per person per calendar year. Alternatively, the Plan will pay on the Member and Spouse (no dependent children) the entire cost of an annual comprehensive physical exam and consultation performed by a participating provider in the Health Dynamics program. Contact the Fund Office for a list of the Health Dynamics locations most convenient for you and your family. However, in any calendar year, any individual who utilizes this program is not eligible for benefits under the routine physical benefit described above. No immunizations are covered under this program (i.e. flu, pneumonia, etc.). A better option for child immunization shots, even adult flu shots, is to get these shots at your County Health Office where they cost $6 to $9 as opposed to over $100 at your Doctor's office. As you can see there is quite a cost difference, although always remember where you receive your health care is your decision. Notify your Provider that you have a routine benefit and your diagnosis must be coded as such, otherwise your claim will be processed under your medical benefits and subject to your deductible and co-pay. In order to be changed from medical to routine, the Fund Office requires the treatment notes for that date of service with a "Corrected Claim" sent to our attention for reconsideration. The Fund will not pay for those records. Any rental or purchase of durable medical equipment (wheelchairs, C-Pap machines, insulin pumps, tens unit, bone growth stimulator, CPM machine, etc) must be approved by the Fund Office. The Plan shall not provide any benefits directly or indirectly relating to programs for monitoring and management of pain. Prior approval is recommended before receiving any type of treatment including but not limited to epidural and steroid injections, therapeutic injections, intraarticular injections, medical branch blocks, medical branch neurotomy, RFA of medical branches, etc. Which are the correct Identification Cards (ID) for the Wisconsin Electrical Employees Benefit Fund (the "Fund")? Effective June 1, 2010 New ANTHEM ID CARDS were mailed to all eligible Members. The correct ID number on your card should begin with a WZBWEE and a six digit number or a WNGWEE and a six digit number. If your ID card begins with WEE and a six digit number you have the incorrect card and should contact the Fund Office at 1-800-422-2128 for a new one. Remember: Your prescription card through SAV-RX has not changed and is still current.